In his twin roles as RTM member and executive director of the Westport Weston Chamber of Commerce, Matthew Mandell keeps his eye on the town. He wants everyone to know what’s happening with redevelopment plans for Saugatuck — the RTM district he represents. Yesterday, he told constituents that the study committee will meet — without the consultants — this Tuesday (December 19, 8 a.m., Town Hall Room 201). He included a link to the Executive Summary (click here to read). A map in the Executive Summary shows possible developments in Saugatuck. 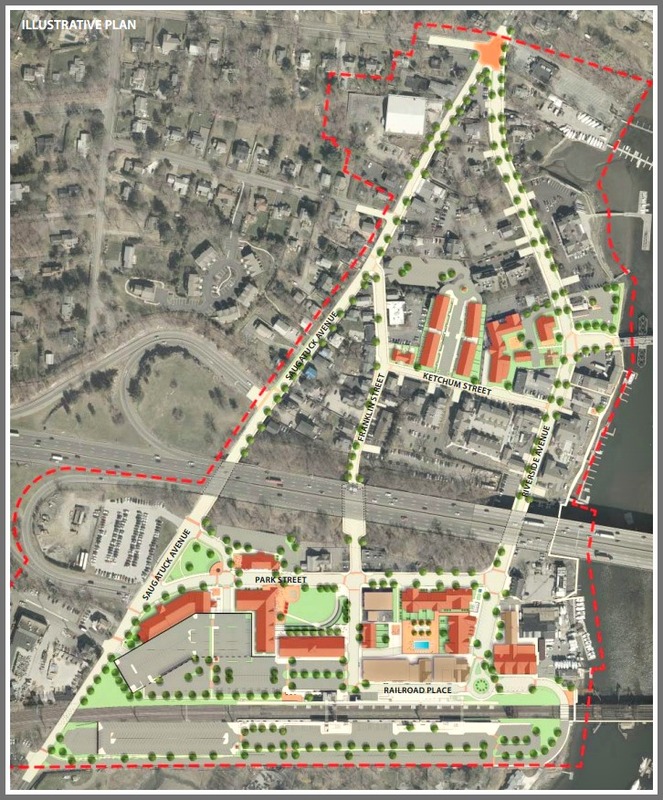 Three days later — on December 22 — consultants will submit the draft report/plan to the town. On January 11 (Town Hall, 8 a.m.), the committee and consultants will discuss the plan. A public evening session is set for January 22 (7 p.m.). The final draft will be submitted to the town on February 2. Three days later — 9 days before the deadline — it will be submitted to the state. Mandell says there is one thing he has not seen: when the committee itself votes on the plan. 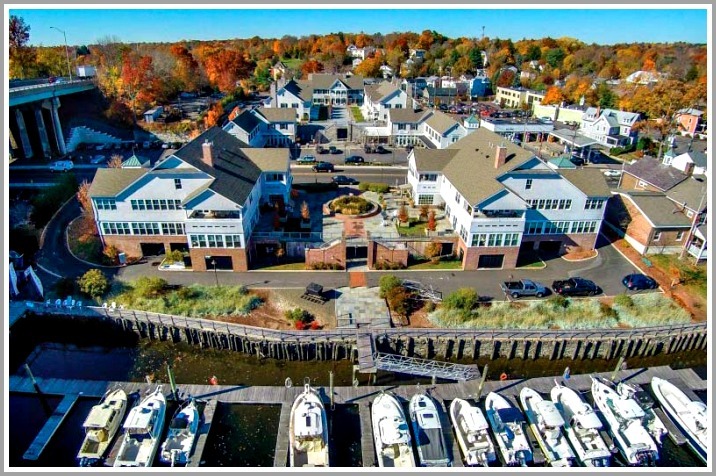 The previous redevelopment of Saugatuck brought a retail/residential complex that includes The Whelk, Saugatuck Sweets, Downunder and 20 apartments. It is separate from the new redevelopment plan. This entry was posted in Local business, Local politics, Real estate, Restaurants, Saugatuck and tagged Downunder, Matthew Mandell, Saugatuck redevelopment, Saugatuck Sweets, The Whelk. Bookmark the permalink. How inconsiderate of you to hold a meeting at 8:00 am when Westporters are at work! Gerald, this is not Matthew Mandell’s committee. He’s simply explaining next steps to Westporters. Don’t blame him for the meeting times! Why don’t you read thoroughly exactly what is transpiring before you start insulting people. As the report is addressing parking, I’m curious as to what assumptions the commission and consultants are making about the role of self-driving cars and their potential impact on private car ownership. WHOA!!! Gerald, I was only the messenger here, actually going out of my way to fill people in and appreciate Dan pushing the info out even further. This Dec19 8am meeting has been the standard day and time the committee has met for the past year. 3rd Tuesday of the month. I am a member of the committee not the chair. There was discussion of evening meetings, but this did not occur. That said, there will be an evening meeting on Jan 22. – build tens of thousands of square feet of new retail space in that area. Can you imagine what the traffic will be like–or how much longer the commute will be? And BTW: Uber and self-driving cars will not change the fact that we are adding cars to an already congested area. (Just look at what Uber has done at the beach.) If you agree, email me and I will pass along your comments (valerieseilingjacobs@gmail.com). Thanks to Matt and 06880 for keeping the Saugatuck TOD study in view. Thanks also for the link to the twenty-two page report. I encourage everyone to read it. I did and still am impressed at the $20,000 per page we CT taxpayers paid for it. I read the executive summary. It makes Saugatuck sound like Bangladesh – only with more dangerous sidewalks. Please let this be the last of the consultant studies.